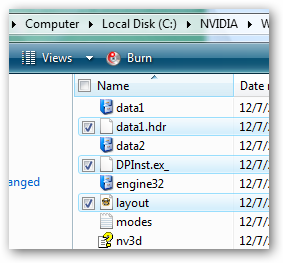 Windows Vista has a new feature in Windows Explorer that is very useful.. checkboxes! Instead of holding down the Ctrl key and clicking a bunch of different files to select them, you can just click the checkboxes… no more accidentally copying the files or getting to the bottom and losing the selection. The only caveat is that it isn’t turned on by default. 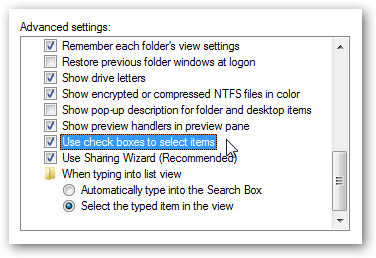 Note that you can click the checkbox next to Name to select all files. Or Ctrl+A.